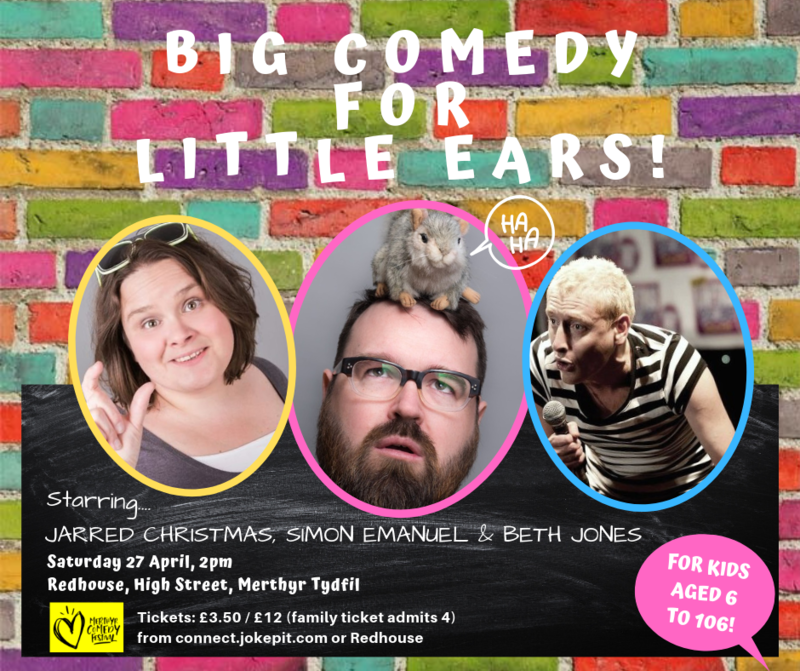 Big comedy for little ears! Join Jarred Christmas (Act Your Age, Mock The Week and Never Mind the Buzzcocks), TV presenter and stand up comic Simon Emanuel and your host Beth Jones as they perform stand-up for a younger audience. Bring your children, or steal someone else's, for a show guaranteed to keep you laughing right into the next week. Children must be accompanied by an adult and families are kindly requested to sit together during the show.